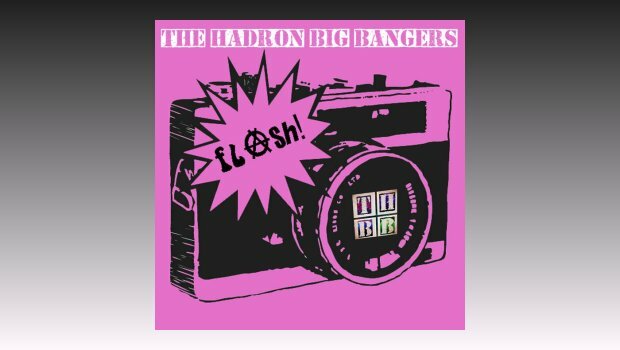 The Hadron Big Bangers (T.H.B.B.) come from Newtown, Connecticut, and consist of full-time members Robert Are and Martin Ear. They state that their influences include Dali, King Crimson, Frank Zappa, Pink Floyd, The Legendary Pink Dots and Captain Beefheart. Intrigued yet? 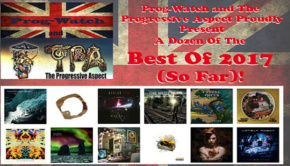 well I most certainly was and I am glad that I have had the opportunity to review flash, their second album. On their website there is an interesting quote that tries to sum up their music; “T.H.B.B. have heard it all before…played it all before…enjoyed it all before…Does that mean we should rehash older music, or take what we’ve lived through, and apply it to the creation of new sounds? Or the destruction of old sounds? We have chosen both! Not an easy task”. They have created a clever blending of industrial, psychedelia, prog, ambient, rock and jazz; with an almost King Crimson-like approach and ‘anything goes’ method applied to the music, it is adventurous and not constrained to one style, taking things to new places. That said, there is structure here with great melodies and rhythms, at times just skirting the edge, the music almost seeming to be falling apart. And that is the skill of these guys; they retain enough control to keep it all together, whilst still pushing the boundaries. From the opening title track, you become instantly hooked by the quirky rhythm, intercut at times with a heavy riff, and throughout they add touches and layers to the sound. How can you not love a track called They All Own Cats? A heavy rocking piece, the vocal delivery is to me reminiscent of the late Mark Sandman of Morphine, suggests that all intelligent life in the universe own cats! Considering the current obsession, on social media and in general, with these furry creatures, they are probably making a good point. The centrepiece is the ten minute Hello Little Elf, after a short opening drum pattern it moves to an almost maniacal industrial beat with a babble of voices layered over the music. We are treated to a crazed flute at one point, and as the song develops it creates a jazz feel, provided by some excellent piano. An interesting song which certainly challenges on first listen, it is on the repeated plays that the layers are peeled away to reveal its true genius. Indeed, this statement holds true for the whole album. The fantastically named Pink Sabbath where wonderfully heavy “Sabbath” riffing shuffles and grinds forward before some Jethro Tull-like flute comes in and fights for dominance with the guitar. The album ends with The Wreck, an atmospheric piece which through its eight minutes provides us with sound effects such as seagulls, waves and a tolling bell; the opening drum pattern and guitar are joined by the vocals, which are deep and somewhat distant giving the song a dirge-like feel, with touches of flute thrown in. Odd, different, but so interesting. At times there appears to be an influence from Bowie’s Berlin with touches of Zappa, but don’t let that distract from what these guys have achieved. Much like their influences they have not constrained themselves in their art. They have pushed boundaries with so much invention, not afraid to try new sounds. Going back to the statement of how they sum up their music, I think they have achieved – if not surpassed – that. If you like your music adventurous and a little different, then this is the album for you. If not, still give it a listen as you may discover something new to your liking. Oh, and buy it so they will make more of this great music.